In today's market businesses need to be as connected as their customers. Your customers want to book on-line, they want to be able to rate your service, they want to communicate with you. BulletProof technologies can help you manage this new medium end-to-end and make you more profitable at the same time. Unlike other web development companies we cover the complete sales cycle: web site and Search Engine Optimization (SEO), chat, email and phone systems, Customer Relationship Management (CRM), shopping carts and hosting. We work with local businesses large and small to help them leverage the Internet to their advantage. It's easy to get a web site developed today. With a few clicks you can get a site that looks exactly like thousands of other sites. Why not instead get a site that engages your customers. The best web site that no one sees serves very little purpose. Why not optimize your site to be found by search engines. Your customers should be able to easily contact you from your web site. Adding contact elements such as chat windows and Click to Call buttons improve the conversion rate of viewers into customers. Many companies have remote employees or staff that work from home or are on the road. Implementing an effective phone system improves your companies image and impression to your prospects and customers as well as saves you money. Many web sites provide only information to the web site viewer, allowing no way for the viewer to purchase the product or schedule service. This reduces the conversion rate from viewers into customers. We implement shopping carts and our own servicecart that converts page views into paying customers. Reliability is very important for both your business and your customers. If a site is down, or links are broken your customer can form a bad impression about your company. 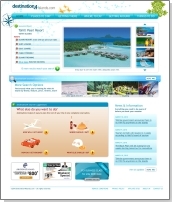 We have implemented many large web sites that run eCommece transations and serve many thousands of visitors a day. 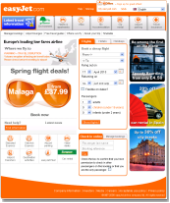 Our first customer was easyJet Airlines, www.easyJet.com the largest low cost airline in Europe. Sometimes a company wants something different to set them apart. We are a highly technical company with expertise in both Microsoft and Open Source technologies. We have developed many custom applications for companies like Bank of America and Nestle Corporation. Let us deliver your site for you.